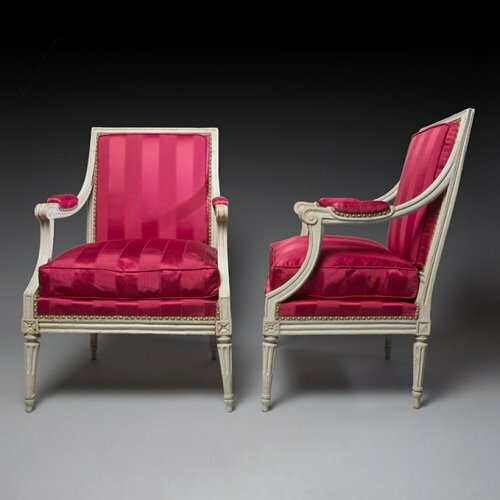 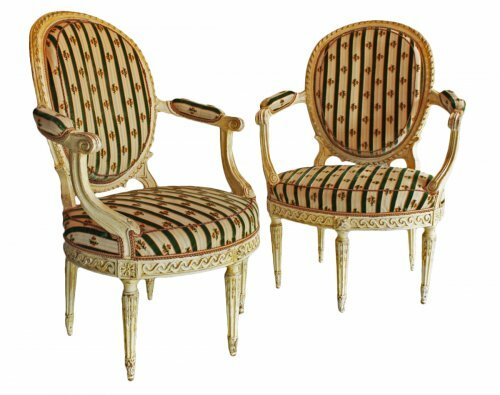 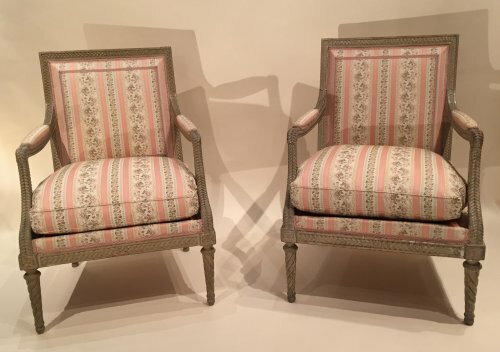 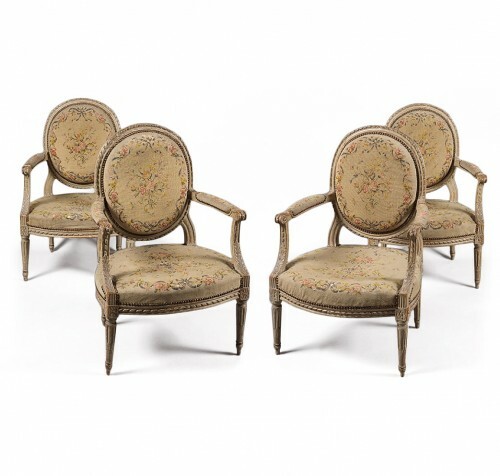 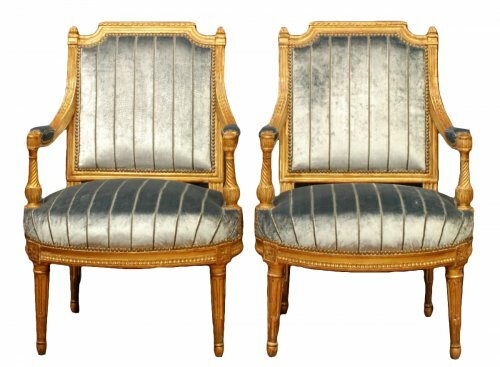 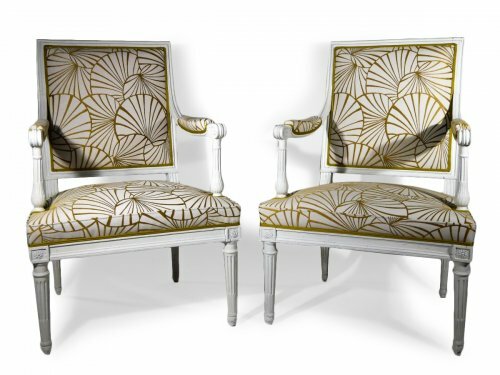 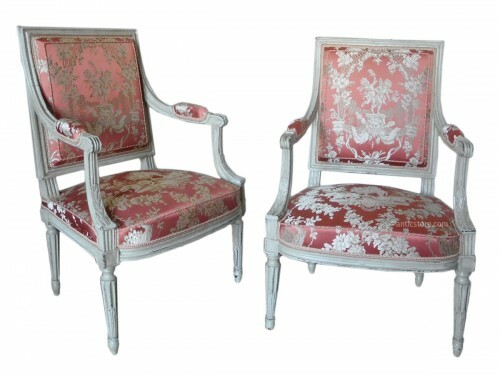 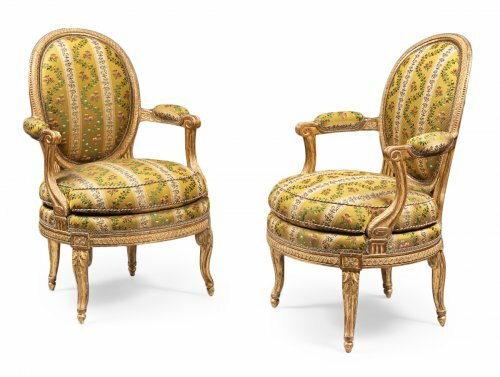 The fauteuil is emblematic of Louis XVI furniture, whether en cabriolet (with a concave back) or à la Reine (flat wooden back frames). 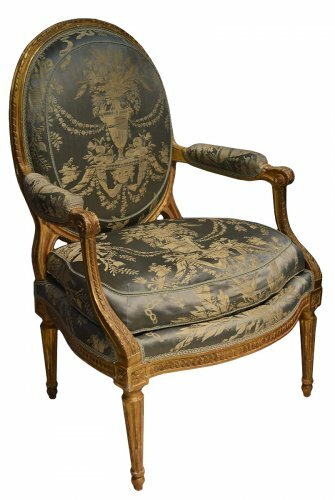 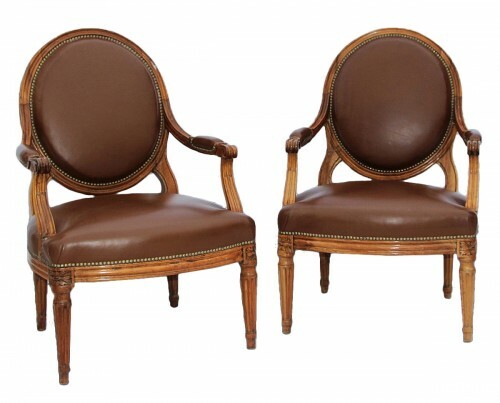 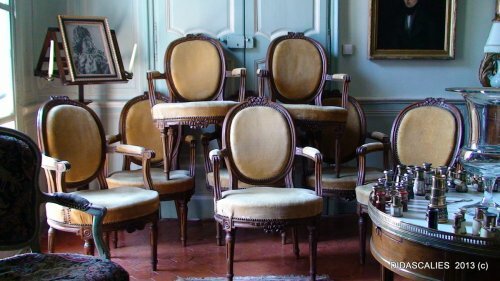 This fauteuil is extremely refined, particularly those in mahogany or wood painted in a light colour, in walnut, or in waxed, lacquered, or gilded beech. 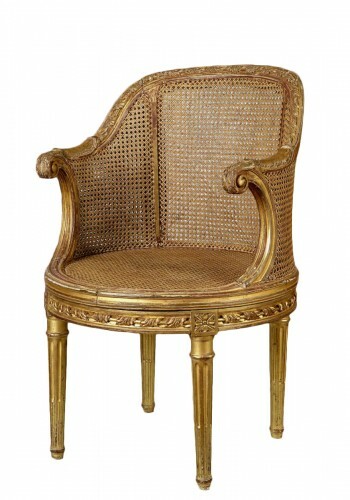 Its backrest is sometimes adorned with a balloon, racket, sheaf, or a lyre. 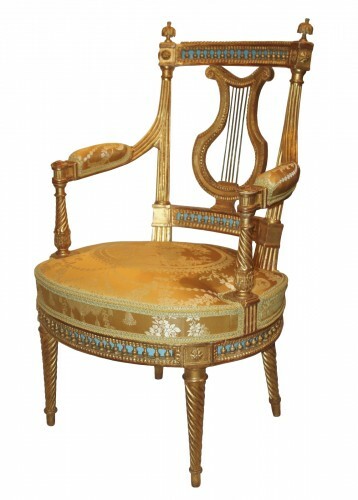 The oval medallion or arched back was introduced. 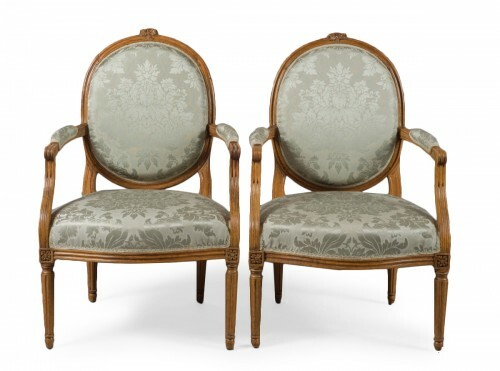 The à chapeau (arched with the arch springs indented) back, typical of the Louis XVI style, is flanked by two colonettes surmounted with pine cones or small panaches. 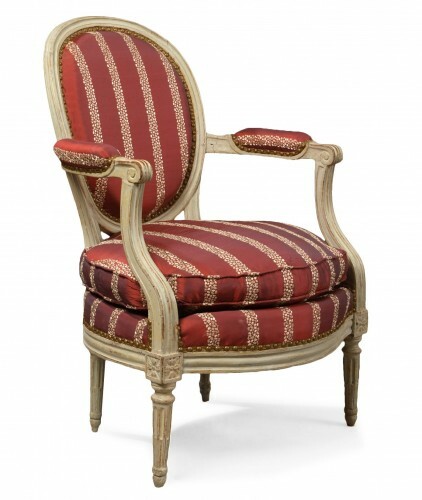 Fitted with upholstered arm pads (manchettes), the armrests are aligned with the legs and terminate in volutes. 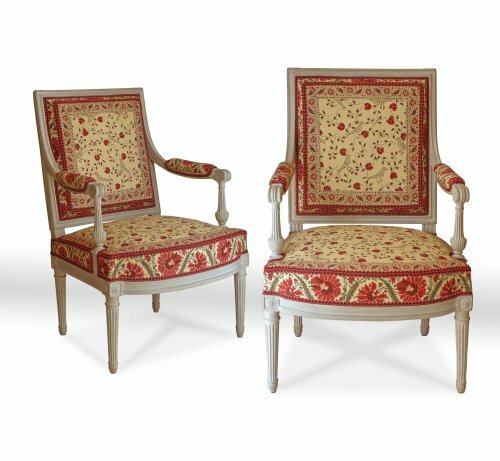 They are very discreetly linked to the arm supports and the legs by linking dies adorned with rosettes, daisies, or florets. 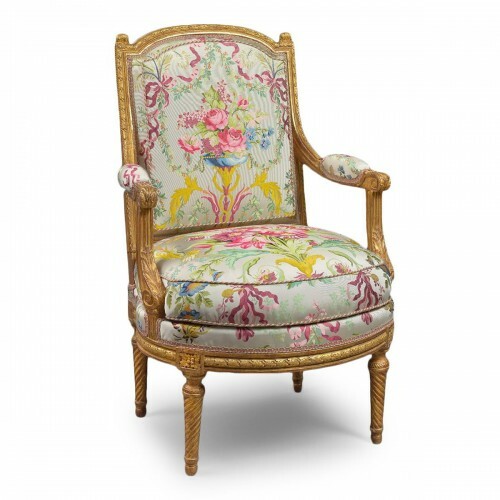 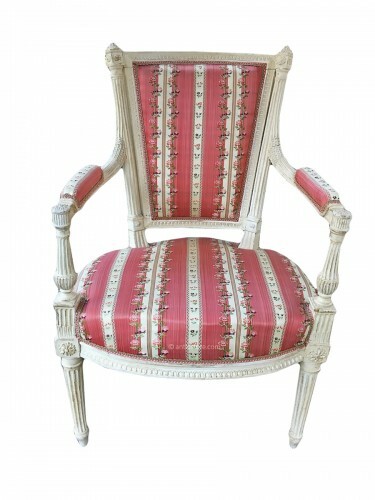 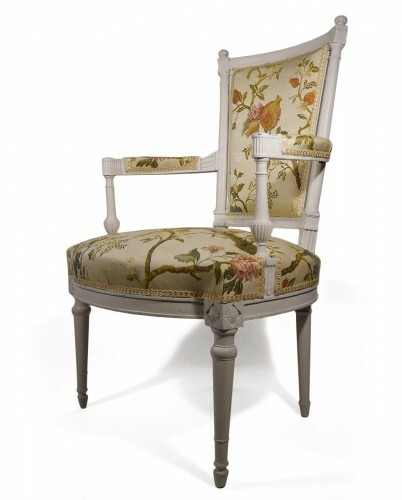 The seat rail of the Louis XVI fauteuil is decorated with beads, oves, knots, ribbons, and flowers. 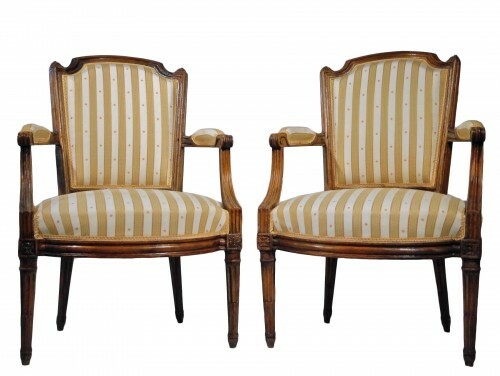 The legs have twisted or simple fluting. 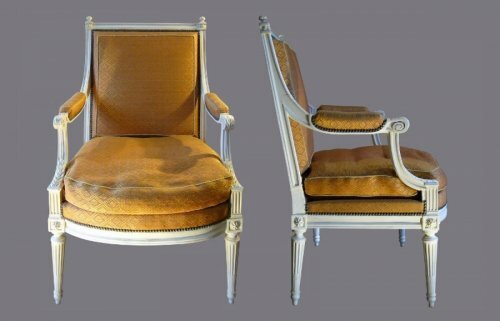 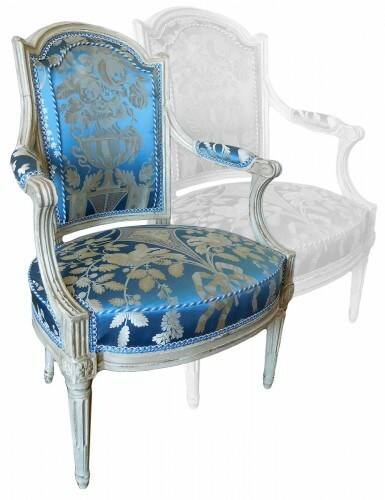 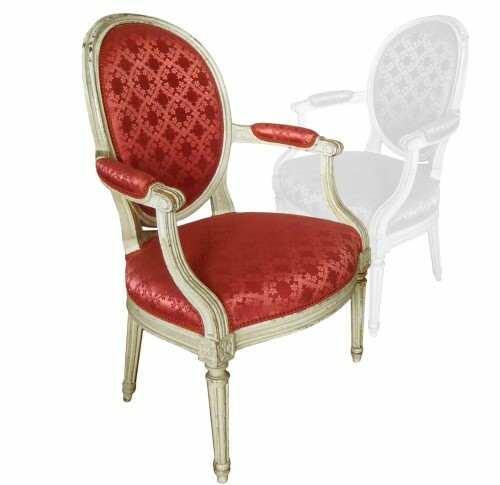 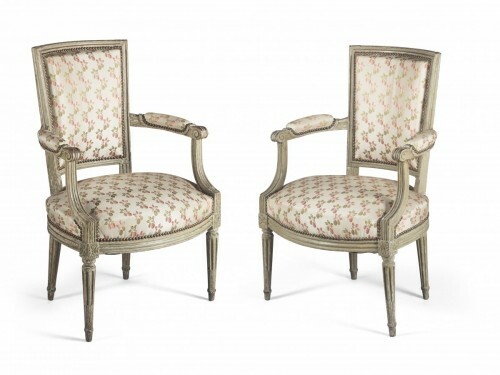 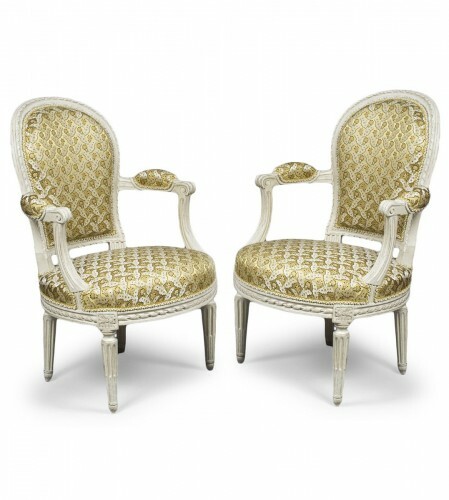 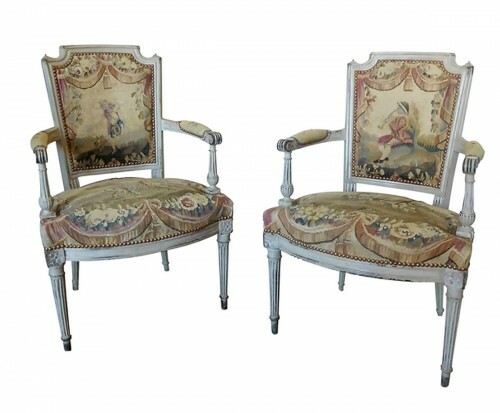 The back legs are straight and curve backwards in the late Louis XVI style.